Free Unconventional & Scintillating Steamy Romance + Romantic Erotica Novel! **Pretty Broken Girl: An Unconventional Love Story by Jeana E. Mann, Rhonda Helms. Price: Free. Genre: Steamy Romance of the Day, Sponsor, 18+ Romance, Contemporary Women, Women’s Fiction. Rated: 4.5 stars on 80 Reviews. 245 pages. ASIN: B014UDQ72W. *A Catamount Christmas, Paranormal Romance (Catamount Lion Shifters Book 5) (Deal, Not Free) by J.H. Croix, Clarise Tan. Price: $0.99. Genre: Steamy Lion Shifter Romance Deal of the Day, Sponsor, Paranormal Romance. Rated: 5 stars on 1 Reviews. 144 pages. ASIN: B01M0OT7CD. *Abiku: A Battle Of Gods (Deal, Not Free) by Elizabeth Salawu. Price: $2.99. Genre: Adult Romance Deal of the Day, Sponsor, 18+ Romance, Adult Fantasy Romance. Rated: 4 stars on 14 Reviews. 91 pages. ASIN: B01IMMZ8FO. *In Search Of… by S.M. Koch. Price: Free. Genre: Gay Adult Romance of the Day, Sponsor, Modern Day Gay Male Mail Order Bride Romance. Rated: 5 stars on 1 Reviews. 111 pages. ASIN: B01MRG4I3G. Free Award-Winning Romantic Erotica Novel! **Pretty Broken Girl: An Unconventional Love Story by Jeana E. Mann, Rhonda Helms. Price: Free. Genre: Steamy Romance of the Day, Sponsor, 18+ Romance, Women’s Fiction, Contemporary Women. Rated: 4.5 stars on 80 Reviews. 245 pages. ASIN: B014UDQ72W. Free Full Hearts Steamy Romance Box Set Series! Free Steamy Western Romance Box Set! *Full Hearts Series Boxed Set (Books 1-3) by MJ Summers. Price: Free. Genre: Steamy Romance Box Set of the Day, Sponsor, Western Romance. Rated: 4.8 stars on 29 Reviews. ASIN: B018BWI9CY. *(Box Set Deal, Not Free) AND THE PUPPY AIN’T HERE YET: A 21st Century Adult Fairy Tale Begins (The Prequel: Volumes I & II) (Deal, Not Free) by E. P. Lee. Price: $4.99. Genre: Contemporary Romance 2 Box Set Deal of the Day, Sponsor, Contemporary Fiction. Rated: 4.5 stars on 10 Reviews. 889 pages. ASIN: B01AZMYCWE. $1 Steamy Contemporary Romance – a Beautifully Written Love Story! Heartwarming Free Steamy Contemporary Romance Novel! *Sweet Solace (The Seattle Sound Series Book 1) (Deal, Not Free) by Alexa Padgett. Price: $0.99. Genre: Steamy Contemporary Romance Deal of the Day, Adult Second Chance Romance, Beautifully Written Love Story. Rated: 4.9 stars on 9 Reviews. 315 pages. ASIN: B01HFWYWGS. $3 Supernatural Romantic Erotica Book Deal! $2.99 Supernatural Romance Deal. Married to an Extradimensional Entity! 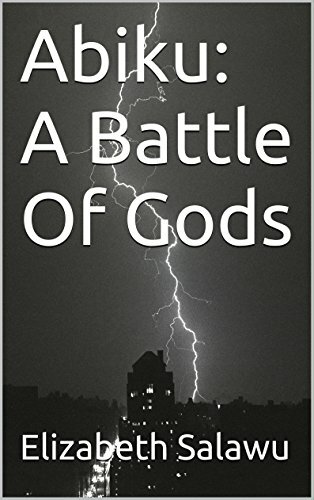 *Abiku: A Battle Of Gods (Deal, Not Free) by Elizabeth Salawu. Price: $2.99. Genre: Romantic Erotica Deal of the Day, Sponsor, Steamy Fantasy Romance. Rated: 4 stars on 14 Reviews. 91 pages. ASIN: B01IMMZ8FO. ‘Lust at the Winery’, a Contemporary Romantic Erotica Deal! $1 Lush Steamy Romance + Romantic Erotica Novel! 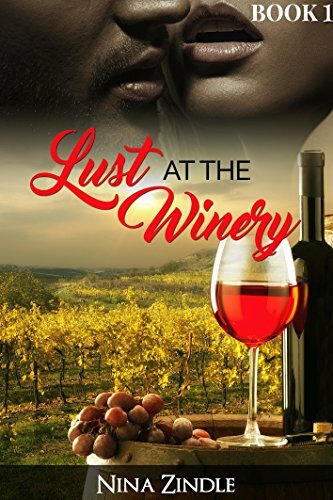 *Lust at the Winery (Deal, Not Free) by Nina Zindle. Price: $0.99. Genre: Adult 18+ Romance Deal of the Day, Sponsor, Steamy Romance. Rated: 5 stars on 2 Reviews. 35 pages. ASIN: B01LC6F5GY. ***Driven (Southern Alphas Book One) by Lori Sjoberg. Price: Free. Genre: Steamy Romance Comedy of the Day, Contemporary. Rated: 4.5 stars on 101 Reviews. 166 pages. ASIN: B01E46BFJU. **Midnight’s Call by Anna Lowe. Price: Free. Genre: Steamy Romance Box Set of the Day, Holidays, USA Today Bestselling Authors, Paranormal. Rated: 4.6 stars on 65 Reviews. 490 pages. ASIN: B01MEFS0WS. USA Today Bestselling Authors Inc. Anna Lowe. **Exploited (The Dark Redemption Series Book 1) by Lane Hart. Price: Free. Genre: Contemporary Steamy Romance of the Day, New Adult & College, NY Times Bestselling Author, Women’s Fiction. Rated: 4.8 stars on 49 Reviews. 223 pages. ASIN: B01G0OI83A. ISBN: 1535273836. NY Times Bestselling Author Lane Hart. *Prepared to Fight by E.J. Shortall. Price: Free. Genre: Sports Steamy Romance, New Adult & College, Inspirational. Rated: 4.3 stars on 40 Reviews. 389 pages. ASIN: B00YF3AJYK. ISBN: 0993297900. *Stoned (The Stone Series Book 2) by Kitty Berry. Price: Free. Genre: Contemporary Steamy Romance, Women’s Fiction, Contemporary Women. Rated: 4.9 stars on 9 Reviews. 684 pages. ASIN: B00E82ZSBC. Moments Of Game (The Moments Series, Book 4) by Melanie Brandon. Price: Free. Genre: Contemporary Steamy Romance, Romantic Comedy, Single Authors. Rated: 4.3 stars on 17 Reviews. 427 pages. ASIN: B01MQ0Q4PW. *Chosen By The Vampire Guardian by Rachel S. William. Price: Free. Genre: Paranormal Steamy Romance, Vampires, Anthologies. Rated: 4.3 stars on 13 Reviews. 449 pages. ASIN: B01M74G77N. Screen Play (The Stone Series Book 5) by Kitty Berry. Price: Free. Genre: Contemporary Steamy Romance, Women’s Fiction, Contemporary Women. Rated: 4 stars on 4 Reviews. 322 pages. ASIN: B00T5DHSF8. *Full Hearts Series Boxed Set (Books 1-3) by MJ Summers. Price: Free. Genre: Steamy Romance Box Set of the Day, Sponsor, Contemporary Romance. Rated: 4.8 stars on 29 Reviews. ASIN: B018BWI9CY. 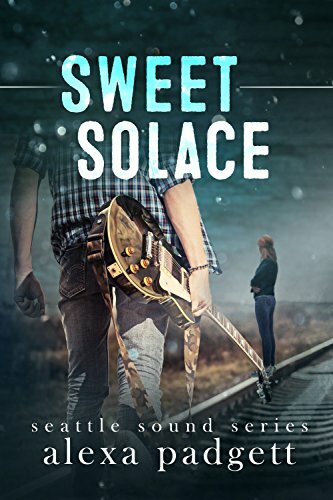 *Sweet Solace (The Seattle Sound Series Book 1) (Deal, Not Free) by Alexa Padgett. Price: $0.99. Genre: Steamy Contemporary Romance Deal of the Day, Sponsor, Adult Second Chance Romance, Beautifully Written Love Story. Rated: 4.9 stars on 9 Reviews. 315 pages. ASIN: B01HFWYWGS. *Abiku: A Battle Of Gods (Deal, Not Free) by Elizabeth Salawu. Price: $2.99. Genre: Steamy Romance Deal of the Day, Sponsor, 18+ Romance, Adult Fantasy Romance. Rated: 4 stars on 14 Reviews. 91 pages. ASIN: B01IMMZ8FO. *Lust at the Winery (Deal, Not Free) by Nina Zindle. Price: $0.99. Genre: Steamy Romance Deal of the Day, Sponsor, 18+ Romance. Rated: 5 stars on 2 Reviews. 35 pages. ASIN: B01LC6F5GY. $1 Steamy Lesbian Romance 18-Book Deal! $1 Steamy Lesbian Romance Box Set Deal of the Day! *(Box Set Deal, Not Free) Lesbian: House of Romance (Lesbian Romance, Lesbian Love, Lesbian Fiction) (Deal, Not Free) by Olivia Hampshire. Price: $0.99. Genre: Steamy Lesbian Romance Box Set Deal of the Day, Sponsor, Lesbian Fiction. Rated: 4.5 stars on 16 Reviews. 420 pages. ASIN: B01FB6YRBK. $1 USA Today Bestselling Author Bad Boy Steamy Christmas Romance Deal of the Season! Excellent Steamy Billionaire Romance to set the Moods for Christmas! **His Christmas Package: A Bad Boy Sports Holiday Romance (Deal, Not Free) by Bella Love-Wins. Price: $0.99. Genre: Steamy Romance Deal of the Day, Sponsor, USA Today Bestselling Author. Rated: 4.8 stars on 64 Reviews. 180 pages. ASIN: B01NBAF7J9. USA Today Bestselling Author Bella Love-Wins. If you bought this steamy romance book, please re-order. Amazon messed up and cancelled all pre-orders by mistake. $1 Steamy Rock Star Romance – Sweet & Dramatic! Fresh Rock Star Romance Novel! *Gibson’s Legacy: Rockstar Romance (Last Score Book 1) (Deal, Not Free) by K.L. Shandwick. Price: $0.99. Genre: Steamy Rockstar Romance Deal of the Day, Sponsor, Steamy Romance. Rated: 4.4 stars on 92 Reviews. 470 pages. ASIN: B00PBEU9LA. $1 Steamy Holidays Romance Short Stories! $1 Steamy Holidays Romance Deal! *Frost’s Winter Wonderland (Deal, Not Free) by Danna Anne. Price: $0.99. Genre: Steamy Holiday Romance Deal of the Day, Sponsor, Holidays, Short Stories. Rated: 5 stars on 1 Reviews. ASIN: B01MTQYEUG. $1 Archangels Fantasy Romance Deal! $1 Scorching Archangels Fantasy Romance Deal! *Michael’s Passion (A Series of Angels Book 1) (Deal, Not Free) by Joel Crofoot. Price: $0.99. Genre: Steamy Fantasy Romance Deal of the Day, Sponsor, Archangel Romance. Rated: 5 stars on 7 Reviews. 182 pages. ASIN: B01LRPXIIC. *FrostBite (The Hunter Chronicles Book 1) by Claire Marta. Price: Free. Genre: Paranormal Erotica, Action & Adventure. Rated: 4.5 stars on 47 Reviews. 288 pages. ASIN: B01KCU2BSQ. ***Protecting Alabama (SEAL of Protection Book 2) by Susan Stoker. Price: Free. Genre: Military Steamy Romance, Contemporary, Romantic Suspense. Rated: 4.5 stars on 461 Reviews. 258 pages. ASIN: B00OO65H90. NYT & USAT Bestselling Author Susan Stoker. *Strength (Sinner-Saint Series Book 1) by Roxie Odell. Price: Free. Genre: Contemporary Steamy Romance, New Adult & College. Rated: 5 stars on 10 Reviews. 175 pages. ASIN: B01N8WN4S5. The Sheikh’s Reluctant Bride (Green-Eyed Sheikhs Series Book 1) by Yasmin Porter. Price: Free. Genre: Multicultural Steamy Romance, Romantic Suspense, Multicultural & Interracial. Rated: 4.2 stars on 60 Reviews. 252 pages. ASIN: B00U0OVSM0. Drake Malone 1 by Kendel Duncan. Price: Free. Genre: Steamy Romance Suspense, Suspense. Rated: 4.6 stars on 8 Reviews. 524 pages. ASIN: B00TPBI9OO. The Mobster And The Cowboy by Mae Martini. Price: Free. Genre: Contemporary Steamy Romance, Western. Rated: 4.8 stars on 6 Reviews. 317 pages. ASIN: B00B1FDVKY. Best Steamy Romance & Romantic Erotica Books of the Day! **Pretty Broken Girl: An Unconventional Love Story by Jeana E. Mann, Rhonda Helms. Price: Free. Genre: Steamy Romance of the Day, Sponsor, Adult Romance, Contemporary Women, Women’s Fiction. Rated: 4.5 stars on 80 Reviews. 245 pages. ASIN: B014UDQ72W. *(Box Set Deal, Not Free) Lesbian: House of Romance (Lesbian Romance, Lesbian Love, Lesbian Fiction) (Deal, Not Free) by Olivia Hampshire. Price: $0.99. Genre: Steamy Lesbian Romance Box Set Deal of the Day, Sponsor, Contemporary Romance. Rated: 4.5 stars on 16 Reviews. 725 pages. ASIN: B01FB6YRBK. *Full Hearts Series Boxed Set (Books 1-3) by MJ Summers. Price: Free. Genre: Steamy Romance Box Set of the Day, Sponsor, Westerns, Holidays, Contemporary Romance, New Adult & College Romance, Romantic Comedy. Rated: 4.8 stars on 29 Reviews. ASIN: B018BWI9CY. 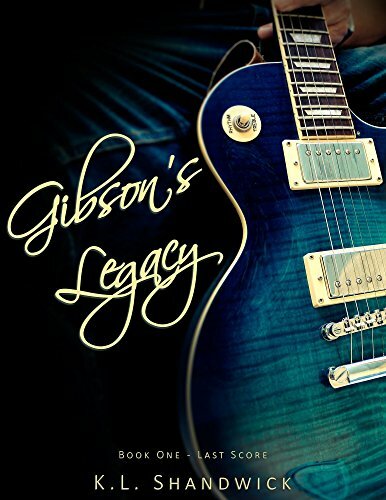 ***Gibson’s Legacy: Rockstar Romance (Last Score Book 1) (Deal, Not Free) by K.L. Shandwick. Price: $0.99. Genre: Steamy Rockstar Romance Deal of the Day, Sponsor, Romance. Rated: 4.4 stars on 92 Reviews. 470 pages. ASIN: B00PBEU9LA. *Swann: A Contemporary Young Adult SciFi/Fantasy (Swann Series Book 1) by Ryan Schow. Price: Free. Genre: YA Fantasy of the Day, Sponsor, YA Science Fiction. Rated: 5 stars on 1 Reviews. 320 pages. ASIN: B01M6UWK3S. **Air: The Elementals Book Two (Deal, Not Free) by L.B. Gilbert. Price: $0.99. Genre: Steamy Paranormal Romance Deal of the Day, Sponsor, USA Today Bestselling Author. Rated: 4.9 stars on 51 Reviews. 311 pages. ASIN: B01LYND5D7. *Abiku: A Battle Of Gods (Deal, Not Free) by Elizabeth Salawu. Price: $2.99. Genre: Steamy 18+ Romance Deal of the Day, Sponsor, Steamy Fantasy Romance. Rated: 4 stars on 14 Reviews. 91 pages. ASIN: B01IMMZ8FO. 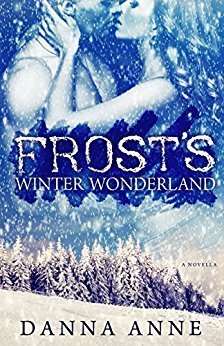 *Frost’s Winter Wonderland (Deal, Not Free) by Danna Anne. Price: $0.99. Genre: Adult Holiday Romance Deal of the Day, Sponsor, Holidays, Short Stories. Rated: 5 stars on 1 Reviews. ASIN: B01MTQYEUG. *AND THE PUPPY AIN’T HERE YET: A 21st Century Adult Fairy Tale Begins (The Prequel: Volumes I & II) (Deal, Not Free) by E. P. Lee. Price: $4.99. Genre: Contemporary Romance Box Set Deal of the Day, Sponsor, Contemporary Fiction. Rated: 4.5 stars on 10 Reviews. 889 pages. ASIN: B01AZMYCWE. **His Christmas Package: A Bad Boy Sports Holiday Romance (Deal, Not Free) by Bella Love-Wins. Price: $0.99. Genre: Steamy Romance Deal of the Day, Sponsor, USA Today Bestselling Author. Rated: 4.8 stars on 64 Reviews. 180 pages. ASIN: B01NBAF7J9. If you bought this steamy romance book, please re-order. Amazon messed up and cancelled all pre-orders by mistake. USA Today Bestselling Author Bella Love-Wins. *Love Bites: Six Alphas you can sink your fangs into. by Elianne Adams, Kristen Strassel, Kim Faulks. Price: Free. Genre: Adult Romance Box Set of the Day, Sponsor, Paranormal Romance. Rated: 4.8 stars on 27 Reviews. 824 pages. ASIN: B01MA2ZN03. ***Ethan’s Mate (The Vampire Coalition Book 1) by J.S. Scott. Price: Free. Genre: Steamy Fantasy Romance of the Day, Sponsor, NY Times Bestselling Author. Rated: 4 stars on 840 Reviews. 57 pages. ASIN: B007YJ3JV2. NY Times Bestselling Author J.S. Scott. *Saving Zoe (Border Crimes Series Book 1): How Far Would You Go For Love by Eva Winters, Meg Amor. Price: Free. Genre: Steamy Romance of the Day, Sponsor, Dark Romance. Rated: 4.3 stars on 23 Reviews. 335 pages. ASIN: B014Q5GG0W. ***Completion (The Kane Trilogy Book 4) by Stylo Fantome. Price: Free. Genre: Contemporary Steamy Romance of the Day, Suspense, Romantic Suspense. Rated: 4.8 stars on 164 Reviews. 172 pages. ASIN: B00TI0T5IQ. ***The Traveling Man 1 by Jane Harvey-Berrick. Price: Free. Genre: Contemporary Steamy Romance of the Day, Women’s Fiction, Contemporary Women. Rated: 4.8 stars on 155 Reviews. 293 pages. ASIN: B00R3EQC1W. *Wild Renegade 2 by Andria Large. Price: Free. Genre: Contemporary Steamy Romance of the Day. Rated: 4.7 stars on 44 Reviews. 268 pages. ASIN: B00LZUJTQK. Lost & Bound by Tara Hart. Price: Free. Genre: Contemporary Steamy Romance, New Adult & College. Rated: 4 stars on 19 Reviews. 199 pages. ASIN: B01DFX0HTM. Bad War by Summer Cooper. Price: Free. Genre: Paranormal Steamy Romance, Ghosts. Rated: 4.4 stars on 8 Reviews. 687 pages. ASIN: B01IAJ58O0. Beautiful Dream by Paige Laurens. Price: Free. Genre: Romance Erotica, Contemporary. Rated: 4.7 stars on 4 Reviews. 255 pages. ASIN: B016JZB2NS. Steamy Werewolf Bond by Rachel S. William. Price: Free. Genre: Paranormal Steamy Romance, Inspirational, Multicultural. Rated: 4 stars on 4 Reviews. 554 pages. ASIN: B01M34ZQVU.